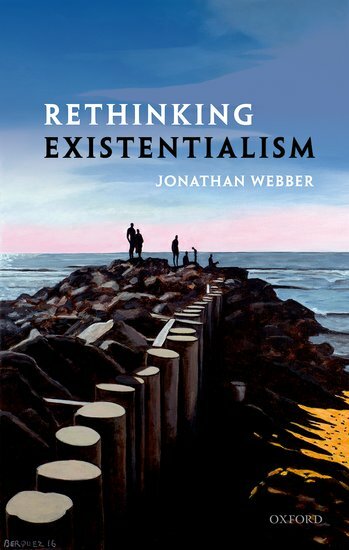 Rethinking Existentialism is published by Oxford University Press. It is available in the UK and in North America. It articulates an original interpretation of existentialism as the ethical theory that human freedom is the foundation of all other values. Through original analyses of classic literary and philosophical works published by Jean-Paul Sartre, Simone de Beauvoir, and Frantz Fanon up until 1952, this conception of existentialism is developed in critical contrast with central works by Albert Camus, Sigmund Freud, and Maurice Merleau-Ponty. The book argues that Beauvoir and Sartre initially disagreed over the structure of human freedom in 1943 but Sartre came to accept Beauvoir’s view by 1952. It further argues that Beauvoir provides a more significant argument for authenticity than either Sartre or Fanon. It articulates in detail the theories of individual character and the social identities of gender and race uncovered by this conception of existentialism. The book concludes by sketching out the broader implications of this analysis of existentialism for philosophy, psychology, and psychotherapy. Articles and books on existentialism generally eschew precise philosophical definition of their subject matter and disagree with one another over which ideas, issues, and thinkers should be classified as existentialist. This loose categorisation distorts readings of the texts that are claimed to fall under it. This book argues for a precise conceptualisation of existentialism grounded in the definition it was given by Beauvoir and Sartre when the term was first popularised. Existentialism is therefore defined as the ethical theory that we ought to treat the freedom at the core of human existence as intrinsically valuable and the foundation of all other value. This chapter argues for the need for a clear definition and presents an overview of how the book develops its analysis. Chapter 2 presents an original analysis of The Outsider (also known as The Stranger), the novel Albert Camus published in 1942, as a meditation on absurdity and moral value that contains the seeds of the moral and political philosophy that Camus published in The Rebel in 1952, a book that Sartre famously responded to by accusing Camus of abandoning his philosophical principles. The chapter argues that The Outsider is profoundly opposed to existentialism, since it implies a natural human tendency to have genuinely other-regarding emotions. It is because Meursault lacks this aspect of human nature that he speaks and behaves in the disconnected, disinterested, depersonalised ways that define him as a narrator and as a character. Meursault comes to realise, by the end of the tale, that moral value is grounded in precisely this natural human fraternity that he himself lacks. Chapter 3 clarifies the core descriptive claim of existentialism that the reasons for action encountered in experience depend on the values at the heart of the agent’s projects. It argues that Merleau-Ponty’s critique of Sartre’s initial form of existentialism fails because it mistakes this for a claim about the meanings encountered in experience. 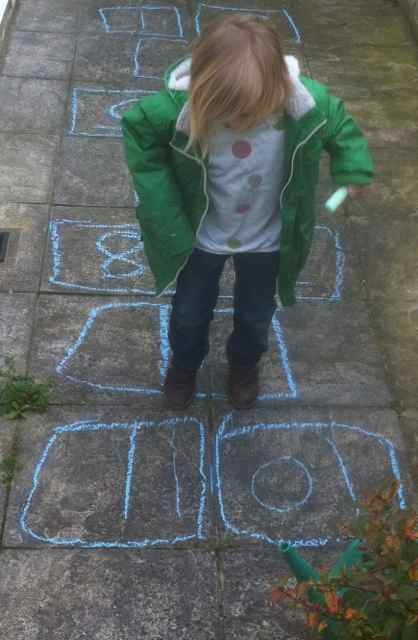 Sartre’s initial form of existentialism agrees with Merleau-Ponty’s phenomenology that experienced meanings are determined by the agent’s physical capabilities and social situation. Sartre adds that the world is experienced as a field of reasons that encourage and discourage specific courses of action and that these reasons reflect the agent’s projects. Sartre’s theory of radical freedom is that projects have no inertia of their own, so one can revise or replace a project without needing any reason to do so or meeting any resistance from that project. Chapter 4 argues that Beauvoir’s first publication, the novel She Came To Stay, presents an existentialist metaphysics of human freedom that is opposed to Sartre’s idea of radical freedom. The novel’s central plot dramatises Beauvoir’s idea that freedom consists in the ability to commit to a project that gains its own inertia and influence over one’s cognition through one’s repeated affirmation of it in thought and action. This is an existentialist theory because it agrees that the reasons one encounters in experience reflect the values at the heart of one’s chosen projects. It is opposed to Sartre’s theory of radical freedom because the inertia of a sedimented project entails that it can be revised or replaced only through a temporally protracted process of sedimenting contrary values. Chapter 5 argues that existentialism is not fundamentally antagonistic to Freudian psychoanalysis, as is often claimed, but rather aims to provide better articulations and explanations of the phenomena that Freud identified than Freud himself achieved. It distinguishes two forms of existentialist psychoanalysis, grounded in the two distinct existentialist theories of human being and psychological functioning identified in previous chapters: a Beauvoirian form based on project sedimentation and a Sartrean form based on radical freedom. It argues that both forms make a more radical break with the Cartesian conceptualisation of the mind than Freud achieved, but that the Sartrean form still retains a vestige of Cartesianism that the Beauvoirian form eliminates. Chapter 6 presents an original interpretation of Sartre’s classic play Huis Clos (also known as No Exit and In Camera). The protagonists are usually understood to be in Hell, condemned for eternity to torture one another by refusing to confirm each other’s self-images. But this standard reading does not make sense of the character of Inez or of the apparent progress that Garcin makes during the play. We can make better sense of the play if we see Garcin and Estelle as facing the Last Judgment, with Inez as an undercover demon whose role is to goad the other two into recognising and regretting their sins. On this reading, the difficulties faced by Garcin and Estelle are grounded in their seeing themselves and other people as having fixed natures, rather than accepting the existentialist truth that our outlooks and behaviours reflect our freely chosen projects. Chapter 7 argues that Sartre abandoned his theory of radical freedom in favour of adopting Beauvoir’s theory of project sedimentation between the publication of his essay on anti-Semitism and Jewish culture in 1946 and the publication of his preface to an anthology of Negritude poetry in 1948, though the clearest expression of his new position is his biography of Genet published in 1952. It argues that the reason for this change is his realisation that the theory of radical freedom precludes any satisfactory cultural theory. The attempt to analyse Jewish culture as a response to anti-Semitism requires postulating an existing culture of inauthenticity, which itself is a cultural phenomenon that stands in need of explanation but cannot have one. Beauvoir’s theory of project sedimentation, by contrast, easily explains the adoption, expression, and transmission of cultural values. Chapter 8 argues that Fanon’s first book Black Skin, White Masks is unified by a profoundly existentialist conception of human being and psychological functioning. It argues against the prevailing reading of the book as a conceptually and methodologially eclectic analysis of various problems of colonialism that offers no prospect of a solution. Rather, the underlying argument of the book is that people become racialised through the collective sedimentation of a colonial value system. The shared culture is suffused with the classification of people into superior and inferior groups and the internalisation of this classification causes both social discrimination and psychic distress. This is an existentialist theory because it denies that there are any human nature, any inbuilt traits of groups of people, or any innate traits of individuals. Racialisation can be overcome by changing the shared culture that encodes and transmits it. Chapter 9 elucidates the existentialist problem of absurdity and analyses the eudaimonist responses offered by Fanon and Sartre. The core claim of existentialism that the reasons we encounter reflect our values, which we can choose to revise or replace, seems to entail that there can be no ultimate reason to prefer one set of values over another. Yet existentialism is the ethical theory that we ought to treat the freedom at the core of human existence as intrinsically valuable and the foundation of all other value. Eudaimonist arguments for authenticity hold it to be essential for avoiding anxiety, despair, and interpersonal conflict. But they can establish at best that we should recognise human freedom, not that we should respect or promote it. And they cannot provide overriding reasons for this recognition, only reasons that might be outweighed by other reasons grounded in the agent’s values. Chapter 10 articulates Beauvoir’s argument for a categorical imperative of authenticity, presented across her short book Pyrrhus and Cineas and so far overlooked in existential and moral philosophy. The argument aims to derive this imperative from the very structure of human being itself. It begins from a premise that, according to existentialism, everyone must accept. This is the premise that some ends are valuable. It aims to derive from this, by a sequence of logical entailments, the conclusion that the structure of human agency is objectively valuable. If we have to accept the premise and if the logical reasoning is sound, then it is imperative that we accept the conclusion. If successful, this argument establishes a categorical imperative that grounds moral constraints on behaviour and establishes that our enterprises within those constraints are not absurd. The final chapter argues that existentialism, as this book has articulated it, has the potential to make significant contributions to moral thought, philosophy of mind, social psychology, and psychotherapy, and that sophisticated engagements with these areas of inquiry should in turn refine existentialism. The existentialist theory of project sedimentation is an important perspective on the development of personal character, the socialisation of the individual, the role of endorsement in mental life, the origins of unendorsed biases and stereotypes, and the social problems and psychic distress that these can cause. The eudaimonist and moral arguments for authenticity are significant contributions to contemporary philosophical inquiry into the grounding of moral and more generally normative value. The chapter closes with a brief sketch of some implications of this existentialism for reading and writing.